For the best in-home elevators in Los Angeles, California, Residential Elevators has everything. We deliver top-notch services including elevator installation and elevator service upgrades. No other elevator company can provide the perfect combination of form and function as we can. 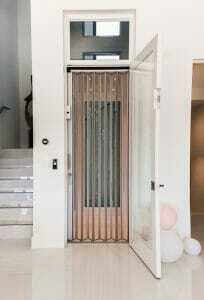 At Residential Elevators, our Home Elevators in Los, Angeles, CA complement your personal style and decor. If you plan on adding an exquisite element of luxury to your home in Los Angeles, our in-home elevators are the ideal solution. Our in-home elevator service in Los Angeles, CA, sets the standard for excellence. We stand out from the competition for their luxury appearance as well as safety ratings. With decades of experience, we are the leading provider of in-home elevators all throughout Los Angeles, CA. We provide impeccable manufacturers’ representatives, customer service representatives, elevator cab builders, service and installation technicians. Every one of our in-home elevators is meticulously crafted. This allows us to ensure the highest level of safety and quality for your LA home elevator. At Residential Elevators, we have the right elevator products and services to fit your needs. Capable of creating one-of-a-kind elevators that Los Angeles, CA has ever seen. With our in-home elevator service in Los Angeles, you get to customize the elevator going in your home. The elevator cab designer we provide delivers the design you have been dreaming of. Our elevator cabs come in a variety of color options and interior finishes perfect for your LA home. Those options include various wood species, ceilings, handrails, fixtures, gates and more. Residential Elevators provides in-home elevators that are not only beautiful but safe. We are capable of perfectly crafting any in-home elevator that matches the interior of your Los Angeles home. We devote time to identifying the best options that fit your needs. Always staying committed to quality, our in-home elevator truly reflects your lifestyle and the level of luxury it adds to your home is incredible. No other elevator company can deliver the designs, craftsmanship, and installation services that we can.  At Residential Elevators in Miami we offer a variety of home elevator maintenance plans to cover the yearly recommended preventative maintenance for your elevator to stay in optimal working condition. We provide plans that are tailored to meet the needs of every customer and every elevator. Safety is the top priority for our company and for everyone involved. We only use the most skilled technicians for all our home elevator installation and service. We install a whole-system safety circuit in all our elevators. That way, if any of the safety features fail to work, the elevator will not work either. Also, our in-home elevators in Los Angeles come with a back-up battery system in the event of a power loss. For elderly or handicapped, an in-home elevator is the perfect option of convenience. Our home elevators in Los Angeles provide both safety and accessibility. Our in-home elevators are also wheelchair accessible. No longer risk getting injured. Whether you are looking to add luxury or safety to your home, our in-home elevators provide it all. Residential Elevators is the industry leader in providing the most reliable in-home elevators in Los Angeles, CA. The results will always be impeccable, regardless of your project size. To schedule a consultation for your new home elevator in Los Angeles, contact us here or give us a call at 800.832.2004.